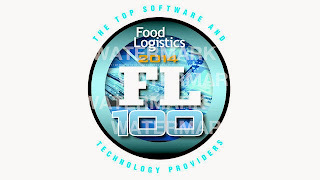 Food Logistics magazine's Top Green Provider Award for 2014 went to INSIGHT inc for the second year in a row. INSIGHT was chosen for helping companies lower their carbon emissions and energy usage through optimal supply chain networks. The Food Logistics Top Green Providers Award recognizes companies whose products, services, or exemplary leadership is enhancing sustainability within the food and beverage industry. With a focus on sustainability in the global food supply chain, Food Logistics profiles companies who are exceeding industry standards in their sector. This year's list includes food producers and manufacturers, 3PLs, transportation and logistics providers, equipment manufacturers and others whose products and services are driving sustainability from farm to fork. The companies chosen as Food Logistics Top Green Providers are profiled in their June issue. "In the food and beverage sector, sustainability and environmental stewardship are primary considerations given the unique relationship between businesses in this sector and our planet's natural resources," explained Lara L. Sowinski, editor-in-chief for Food Logistics. "Our 2014 list of Top Green Providers includes agricultural companies, 3PLs, temperature-controlled facilities and others who demonstrate leadership in sustainability, which in turn positively affects their customers as well." "Strategic supply chain planning helps INSIGHT customers to develop green initiatives, optimize supply chain networks, lower energy costs, and reduce carbon emissions," said Dr. Jeffrey Karrenbauer, president and co-founder of INSIGHT, Inc. "INSIGHT's software enables clients to identify the cost, energy or carbon minimal supply chain strategies that reduce costs between 5 and 20 percent, and by implementing green initiatives such as identifying opportunities for shipment consolidation."